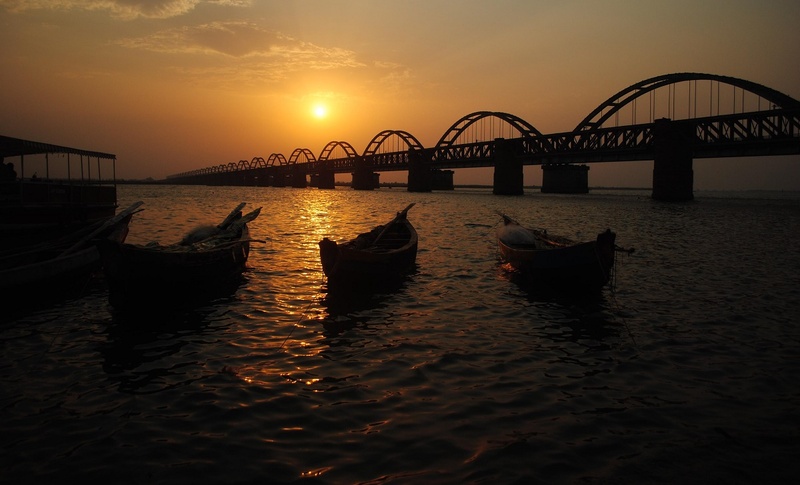 Eluru is a city and the district headquarters of West Godavari district in the Indian state of Andhra Pradesh. It is one of the fourteen municipal corporations in the state and also the mandal headquarters of Eluru mandal in Eluru revenue division. The city is situated on Tammileru river and was the capital of the Northern Circars. As of 2011 Census of India, the city had a population of 217,876. The city is well known for its wool-pile carpets and hand woven products. The city residents are referred as Elurians. The lifestyle of the city has a mixture of both urban and rural with some cosmopolitan element. Eluru's residents wear both Indian style and Western style clothing. The common traditional clothing for women is a Saree and Dhoti for men. Antique museum is being set up in the city, that will preserve prehistoric tools, idols and other pre-historic elements found in the archaeological excavations nearby the city. Buddha park is located in the city and is notable for its 74 ft (23 m) Buddha statue in the Abhaya posture, located in the heart of Gaja Vallivari Cheruvu tank which was used as drinking water source for elephants in Ancient Era. Kolleru lake is a largest fresh water lake, located at a distance of about 15 km from the city. The lake is known for attracting migratory birds from Northern Europe and Northern Asia during the months of October–March. The ‘Holy Land’ of Israel has been replicated on the premises of Fr. Silvio Pasquali Memorial Convent at Duggirala on the city outskirts.